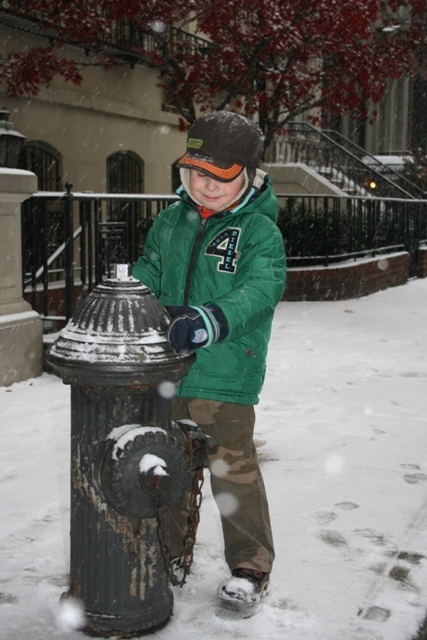 The search for a place to stay in New York for our December week was not so straightforward. We discovered prices climbed skywards as soon as the holiday season started – there seemed no exceptions to this rule. Resigned to paying through the nose we stumbled upon the Shelburne Murray Hill Hotel – not exactly cheap but for our money we got a one bed apartment in an apart-hotel – the idea of a bit more space than normal meant we snapped it up. 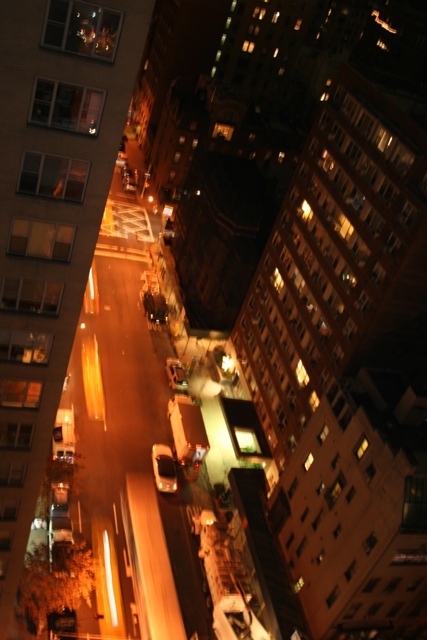 The location was great – Lexington Avenue by 37th Street – not in the midst of all the tourist sights but in a charming and mainly residential area. What a treat to stroll around (at the crack of dawn) on our first morning and gaze at the gorgeous New York brownstones. It was only a short walk to the Empire State Building and a shorter stroll to Grand Central Station – all pretty much perfect in my eyes. Our one bedroom apartment was far more spacious than we expected and far more spacious than anywhere we’d found in New York in the past. Having our own doorbell and front door made me weirdly excited – I felt I was on the set of Friends. We were on the 15th floor – not great views but then we didn’t come here to spend time inside looking out. There was a cosy living room with sofa bed, dining table and chairs and the biggest television Son had ever seen. 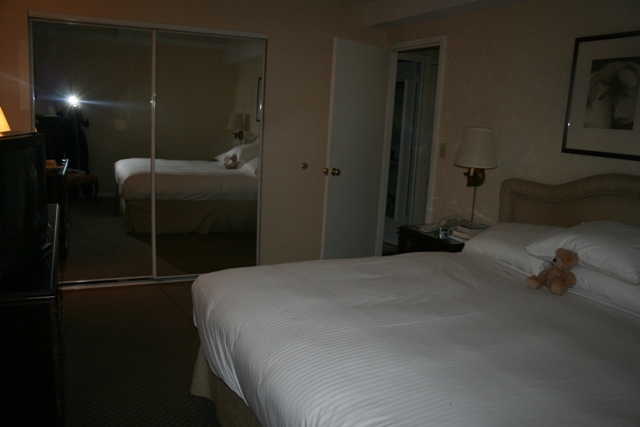 The bedroom was also big with a super size and super comfy bed – great sleeps were had by all. An old-fashioned but perfectly fine bathroom, stocked daily with a plethora of fluffy white towels and a small kitchen complete with dishwasher, coffee machine and fridge freezer completed the offering. It was a little old-fashioned and a bit dated but I loved it nonetheless. I understand the whole place has undergone a complete modernisation since our stay – it looks very swish but I liked it just as it was. Probably the prices have been updated and modernised too! We had breakfast twice at the hotel restaurant – buffet style and fine but once we discovered how close Grand Central and the food market was, we became great customers of that establishment for the rest of the week. Dining like kings the food there was wonderful and so reasonably priced. The hotel restaurant was buzzing every night, but we never dined there either preferring instead to walk the short distance to 3rd Avenue. Here we found a stack of small, local restaurants serving every kind of food under the sun. Spoiled for choice we picked a different place each evening – an Italian called Patsy’s was probably our favourite. 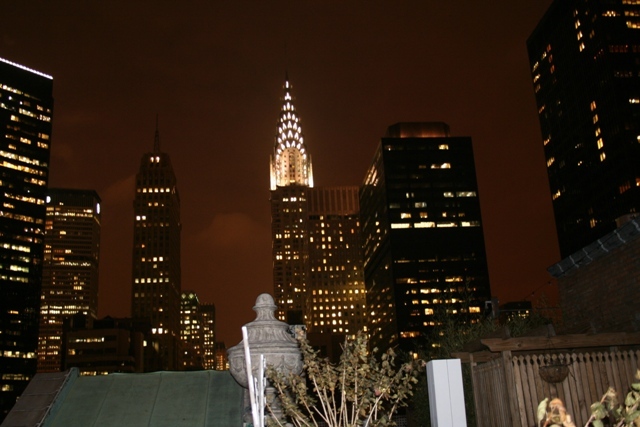 The hotel had a roof terrace – we went exploring one night and excitement levels reached fever pitch when we stepped onto the roof and found the most amazing view of the Empire State Building and the Chrysler Building. The night views with skyscrapers all lit up was spectacular. The day time view was none too shabby either. 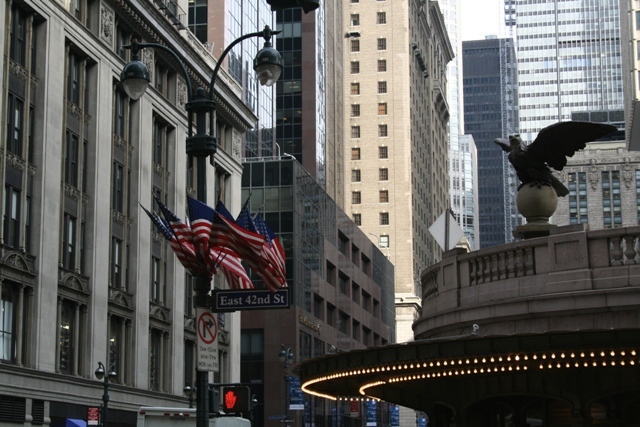 Thanks to the hotel’s proximity to Grand Central Station – we ended up falling in love with this place too. Always left off our New York lists in the past, this trip we had time to visit on several occasions and realised what a gem it really is. Apparently when the 1869 plans for this terminal were drawn up they said, “People who come to New York should enter a palace at the end of this ride and not a shed.” Attractive on the outside thanks to beautiful sculptures and a Tiffany clock no less, inside it is magical. More ballroom like than railway terminus there are chandeliers and marble – stunning. If you go outside of rush hour you can really take in the details without crowds of commuters buzzing past. The zodiac on the ceiling is very cool and one day we stumbled across the Holiday Laser Light Show. This was spectacular – a light show displayed on the ceiling and walls and accompanied by festive music, we returned several times for a repeat performance. I was also a big fan of the Holiday Fair at Grand Central – no end of beautiful, unusual and unique items for sale. Much browsing on my side and then on our last day much purchasing – we picked up a stunning New York bauble, some handmade toys and a few other “necessities.” This is definitely the place to find quality gifts from artists and artisans – highly recommended but bring plenty of cash! A great hotel, a great location and a lasting love affair with Grand Central – this would be my choice of place to stay if (or when) we return to New York. Amazing story of great journey and experience! Thank you – it was a wonderful experience for sure! I’m making a note of this hotel–it sounds like a great place to stay! 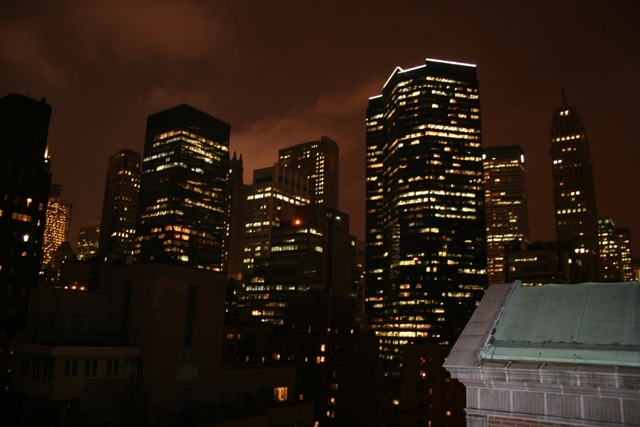 Everything you write here, and the photos, make me want to go back to NYC right away! We searched and looked at so many different places, came upon this one unexpectedly and it was just perfect. I loved the location – everything about it was great and the choice of little local neighbourhood restaurants was one of my favourite bits. 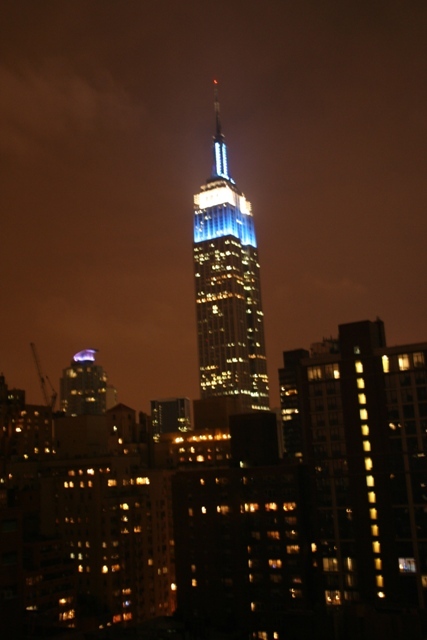 What a great way to experience NYC – wonderful pictures! Thank you Meg – it was a great trip. 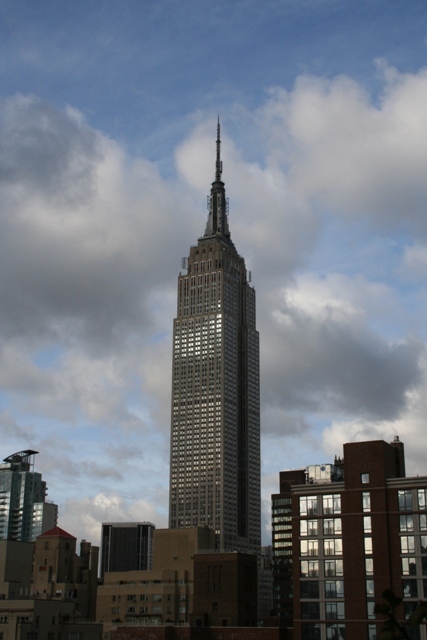 It would be our first accommodation choice for a New York trip – definitely recommended! I had a love affair with New York over the summer, and am desperate to go back! This post is helping me fill the void until I return. I know what you mean – something about the city just seems to draw you back. Writing the post made me super keen to return. What a good hint. 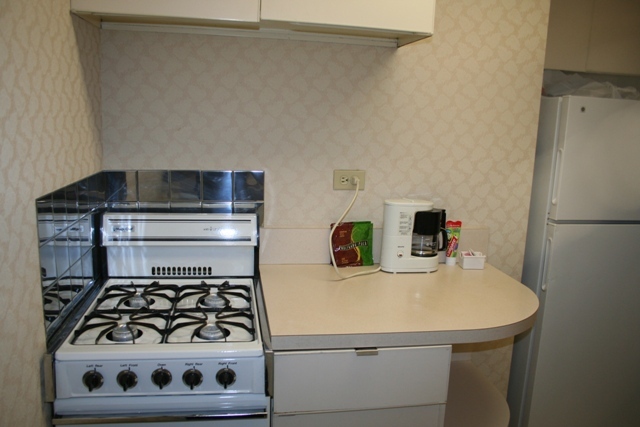 Really a great location – central and neat with a great view! It was a perfect place to stay Erika – we’ve tried other hotels in different New York locations, this one was by far our favourite. Very good to know! Thank you, I will keep that in mind when we travel to Manhattan the next time! 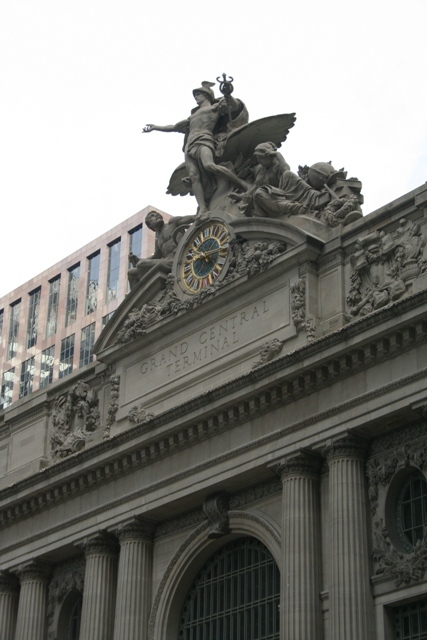 Love Grand Central….did you ever see the movie “Fisher King?” One of my favorite scenes of all times was in that movie…..https://www.youtube.com/watch?v=lASPrnWf6cA….so sweet….love it….looks like you found a great place! Never seen that movie but thank you so much for the clip Diana – just watched it, you really see how glamorous Grand Central is in it – exactly what I thought too that it was more like a ballroom than a railway station. Now I am on a mission to watch the whole movie! Always enjoy reading your posts, Joy! NYC is always a favorite! Thank you Pam – we love NYC – how could you not!! Thanks Joy for a wonderful post – I’m enjoying my armchair guide to New York I can imagine it well from your posts never having been there myself. I rather love the slightly faded charm of the apartment decor I hope they haven’t modernised it too much and removed all the character. What wonderful views from the roof terrace too and the Holiday Fair would be right up my street!! We have had a sweltering day here (maximum 39 degrees) so have stayed indoors for the most part with the air con on – it’s nice to read about cooler climates! Fortunately it will be much cooler here tomorrow 🙂 Hope you weren’t affected too badly by the snow in the UK! That Holiday Fair was amazing Rosemary – so many gorgeous things, only problem was suitcase space to get it all home again!! We haven’t had a single flake of snow here (much to my son’s disappointment) but places fairly close have been affected, very strange!! It is cold though so 39 degrees seems very alien to us, my husband would much prefer to be in your neck of the woods with those temperatures. In fact he might as well be – glued to the screen watching the Big Bash Cricket every day!! Sydney yesterday looked wonderful. 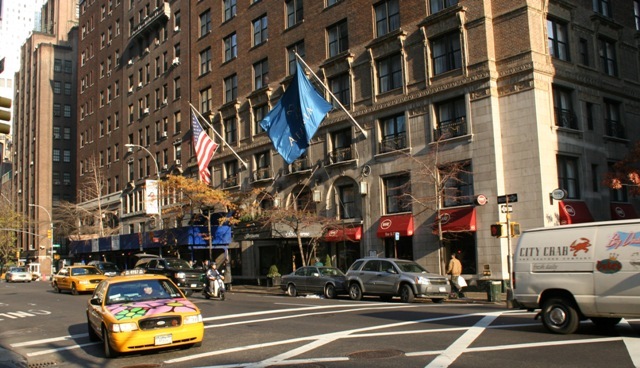 Nice post Joy- and I’m looking for a good hotel to stay when I visit NYC with my family! Will add that property to my list. Happy holidays! 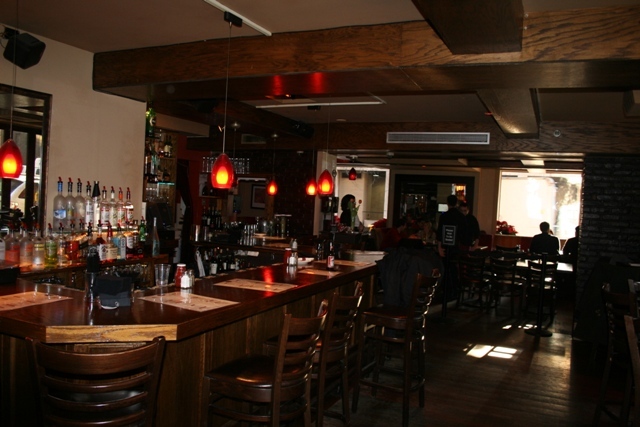 Thank you – we loved it here, thought the location was really good and would try it again for sure! Happy New Year to you and your family. Beautiful photos of the city at night. Thanks for the recommendation. I’ve only visited once but would love to go back and see it in winter time. It is an amazing city at any time of year Sara but definitely magical at Christmas time – highly recommend!! We loved Grand Central – definitely worth a visit! Happy New Year to you too!! I often book through Flipkey or Homeaway, especially when my husband and I have others traveling with us. That way we get an entire apartment for what one room would cost in a hotel. This sounds like my kind of place! As usual, the photos are outstanding. We love to do that too – the extra space for the same price is usually fantastic. Best wishes to you and your family for a very happy new year too! Nice!! I really like all your photos. I love visiting NYC. I am lucky enough to have a friend who lives there in East Village so I don’t have to worry about a place to stay. I really need to bring a real camera some day, and not just my phone (which takes pretty low quality photos). Wow, fantastic to have a friend there – I would be making a lot of visits if I were you!! So much to see and do in New York we love it!! I can imagine how difficult it was to find accommodation during the busiest time of the year. But you always seem to find the good deals !!! Incredible, the flat looks huge !! Was it noisy ? 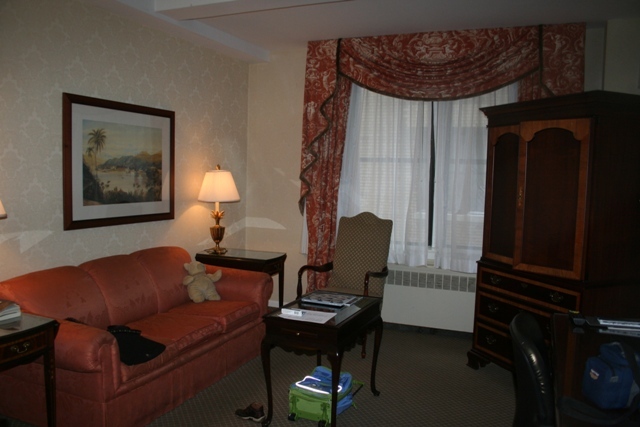 It was huge – loads of space, super comfy and really quiet – hard to believe you were in Manhattan! Joy, I stayed at the Murray Hill years ago with the family and we absolutely loved being in that area. Actually since then we usually stay in the vicinity whenever we’re in New York. Excellent post. Great minds think alike Edith!! We stumbled upon the hotel but were so glad we did. I loved the area and would definitely want to be in this location again for any future NYC trips. I have always wanted to visit New York. Great information. It is an amazing city – a great place to visit! I continue to resist visiting NYC, but well written, and attractive posts like yours is making it harder. What draws you there? What draws you to go back? Why not Chicago, or Washington or Madrid? Having visited NYC in the past in summer I always had a longing to visit in the run-up to Christmas – that was our motivation behind this trip and it didn’t disappoint. The snowy weather, Christmas lights and all round magical atmosphere made it a wonderful trip. I would visit any of those other cities in a heart beat too though – Chicago is way up on my wish list, I’ve been to Washington twice but many years ago now and would love to go back and we do have a trip to Spain planned over Easter when we might just manage to squeeze in Madrid. Those and countless other destinations I want to see – the only problem is finding enough time!! Thank you Paula! We love New York but are also on the lookout for other new and different places to go on “our list.” It’s never ending – nice to skip from East to West coast too!! Have a great weekend.